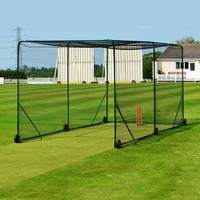 Professional quality baseball backstop netting available in large pre-cut sizes. 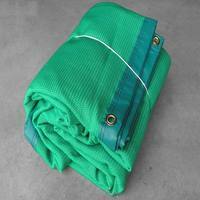 High-density twine is UV stabilized and 100% rot proof for all-year-round protection. 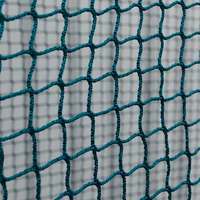 Fortress baseball backstop nets are doubled-up on all four sides to stop them from fraying and increase their longevity. 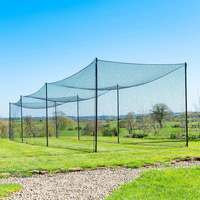 Safeguard your spectators and contain stray baseballs by easily securing this diverse netting to posts or wires. 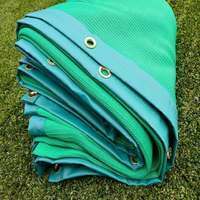 The high-density #42 weight netting is of the highest standard and is 100% weatherproof, sure to last at your facility for years. 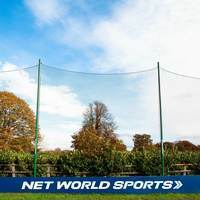 Rejuvenate your field and protect your spectators and surroundings with the strongest, most reliable baseball backstop nets on the market. 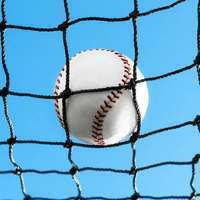 Already taking pride of place at thousands of baseball fields worldwide at every level from professional to amateur, you can count on Fortress’s high-quality baseball netting for seasons to come. 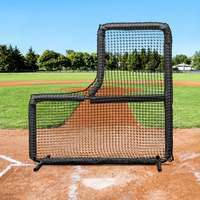 This diverse baseball backstop net can be utilized for a whole host of purposes on your baseball field or training field. 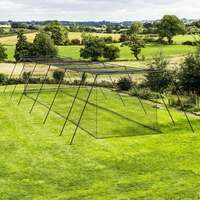 Its flexible construction allows for hanging from fixed wires as well as fixing to netting support poles. 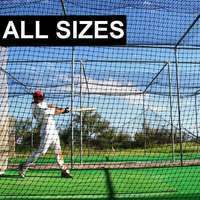 With a range of sizes spanning up to a whopping 820ft long, you can fully enclose your baseball field and ensure 100% protection for year after year. 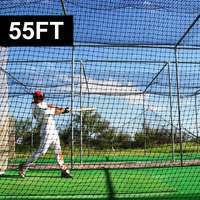 Take a look at our extensive range of baseball field equipment that, combined with your baseball backstop netting, will revolutionize your field into a big league ballpark. 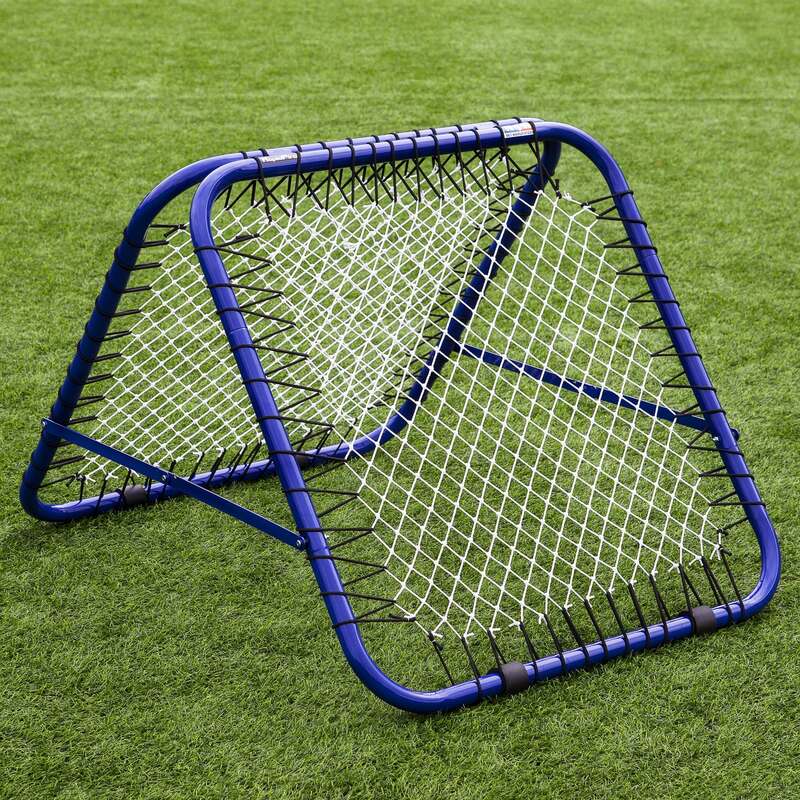 From baseball backstop netting to base covers and line markers, Fortress is your one-stop-shop for everything baseball. 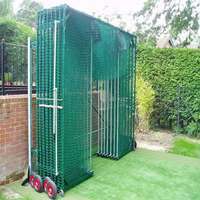 Lengths available: 100ft (30.5m), 200ft (61m), 500ft (152m), 820ft (250m). 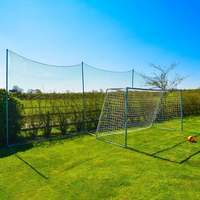 Can I get a backstop net at 2.5 mm or greater, 20' high and 200' I just got a quote on 25' x 200', but I think I need a bit stronger, plus I decided to only go 20' high instead of 25'.